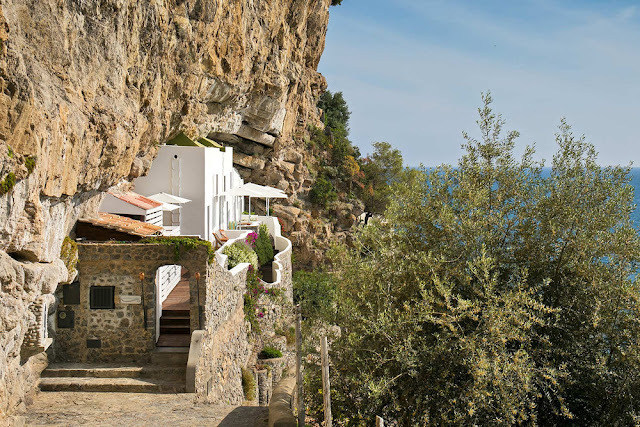 town of Praiano. 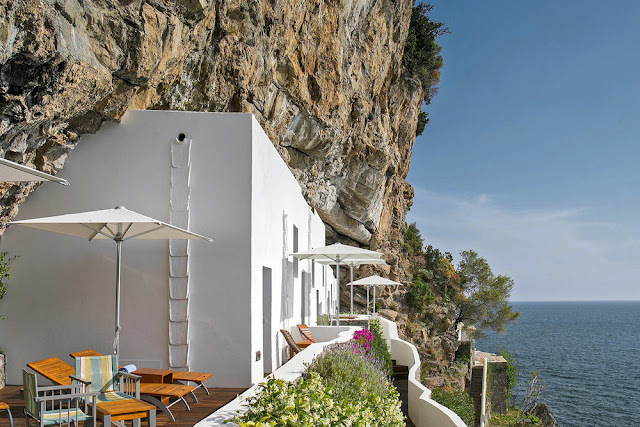 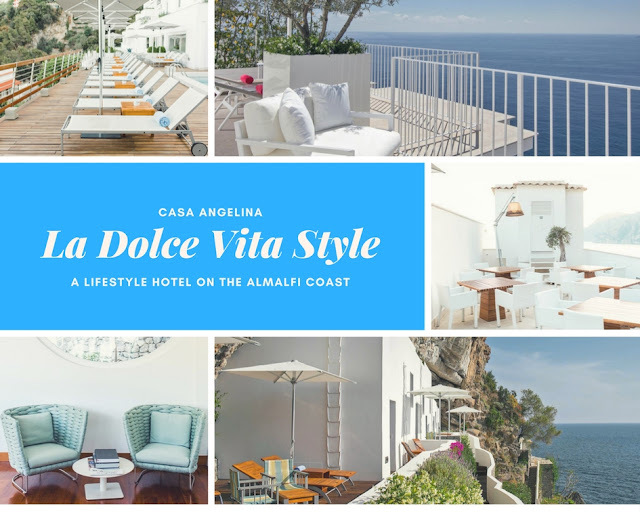 This coastal abode is the epitome of luxury and relaxation... la dolce vita. The quiet luxury of this heavenly abode exudes an understated chic with white-on-white decor and eclectic accessories and modern furnishings.